Product #17325 | SKU MHXPRO-2W | 0.0 (no ratings yet) Thanks for your rating! 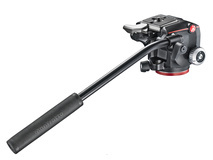 The Manfrotto MHXPRO-2W is a standard 2-way pan/tilt head with the added feature of dual fluidity levels. This means you can choose between hard and soft fluidity when tilting your camera or scope. Hard fluidity will provide a slower tilt movement, while soft fluidity allows you to more quickly reposition your gear. 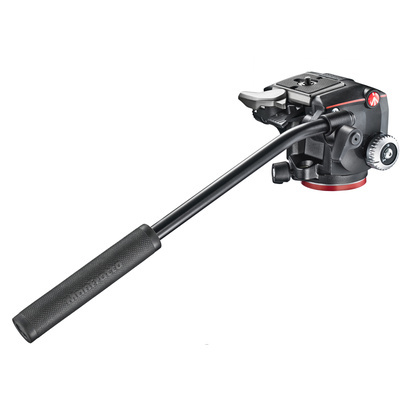 For added control of the head's movement, two locks enable you to control the tilt and the 360° panning separately. 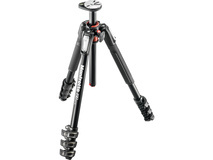 The head can hold 4 kg of gear, and has a working height of 10 cm. It includes a 200PL quick release plate that attaches to your camera or scope via a 1/4"-20 threaded mount.